HTML5 vs Native Apps: Which One’s Better? The growth in HTML5 enthusiasts, programmers and content creators is impressive. But only few people, recognize how much there is to learn about HTML5 to truly realize its “write once, run everywhere” promise. But first, let’s get back to basics and understand what the difference is between HTML5 vs Native apps. As I am a marketing manager in a software development company, I will try to explain it from marketing and business point of view, using non-tech words, so that everyone can get it! A HTML5 app written with responsive design methods would also scale appropriately depending on the size of the device it’s currently viewed on. Making it a single app that can be used universally. When an update is required, the single app is updated and tested, and is available for all devices immediately. The perfect example of an HTML5 app is the Survey Anyplace app, that allows you to take surveys and quizzes on any type of device and even making use of mobile features (such as swiping etc.). Native apps are typically written in the native language of the device or platform’s operating system, for example: Android runs on Java or Kotlin and requires apps to be developed in that language as well. For iOS it’s Objective C or Swift, etc. Each platform provides a different toolset for their native app developers including the materials needed for app store submission. Which means that to install the app on a mobile device, a download needs to be made from the app store of that device. Native mobile apps usually provide the best user experience with the most functionality available, because they are more flexible in using the device’s specific capabilities. They have faster load times compared to web apps and have a more robust performance in online or offline mode. While a lot of people believe they create a better brand image and guarantee superior security compared to HTML5. There’s also a higher cost attached to the development of native apps as a new app is needed for each kind of mobile device with often longer periods of development. 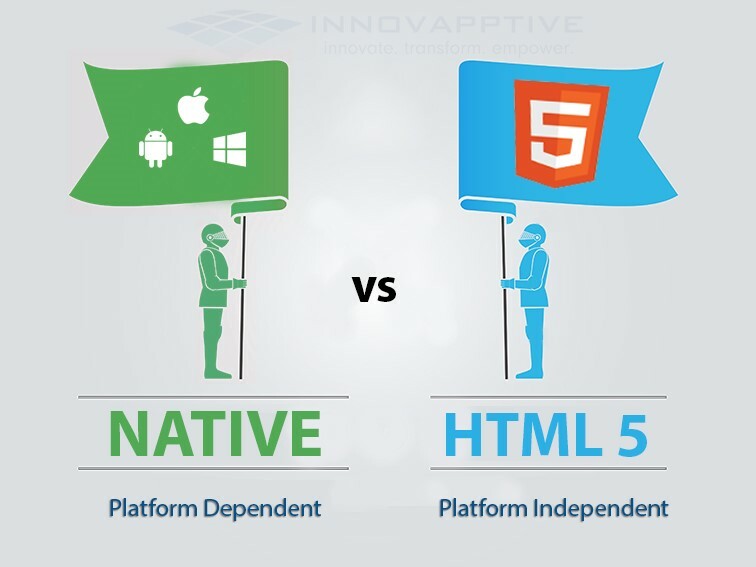 Which are better: HTML5 or native apps? There is no straightforward answer to this question. It depends on your goals. While HTML5 helps build highly engaging mobile apps quickly, it does not provide any unique functions that help deliver users with awesome mobile experience. On the other hand, native apps enable users to make use of mobile functionalities, but developing a native application can be expensive and requires much more time when you’re targeting multiple devices. One of the major benefits of HTML5 app development is that you’re only required to build a single app for all devices. This, of course, means that you’re going to save a lot of time, effort and money on your initial build and future updates. And HTML5 apps can even be wrapped in what’s called a “mobile wrapper” using technologies such as Adobe PhoneGap which will allow you to publish your app on the app stores. These so-called ‘hybrid apps’ combine some of the advantages of HTML5 apps and native apps. For companies this provides a major reduction in cost, a huge decrease in the time to market, and much lower rates of running into programming bugs across multiple platforms. When developing an app in HTML5, because you only need to test your code once, testing time is also reduced allowing for rapid product development. So if you’re looking to build an app and the app is not your primary source of revenue or it is an addition to a software that you’re using on desktop as well, the benefits of HTML5 apps cannot be ignored. Usually, they’re best suited for lightweight applications that do not need to be secured or rely too heavily on native device functionality. They’re also usually a good option for budget-conscious developers or when content will be changing often. 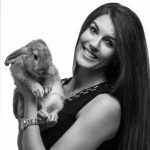 Not only is HTML5 extremely cost-effective, flexible in nature, and easy to develop; they’re widely loved and used across the globe. So when comparing HTML5 vs native apps, you’ll have to look at your specific needs. Thanks a lot for writing this useful content!I would like to share my experience and to recommend you to choose a native app development as it has more advantages then HTML5 app development. Native apps look and feel great, and operate very well, which leads to better user experience, customer satisfaction, and retention rates.On contrary, native apps, though they are the most expensive, provide the best quality, performance, and user interaction. Apps are not books - customers will judge by the cover. Thus, native app development is the best approach.Here https://mlsdev.com/blog/167-native-app-development you can discover more details about the differences between native and web apps.